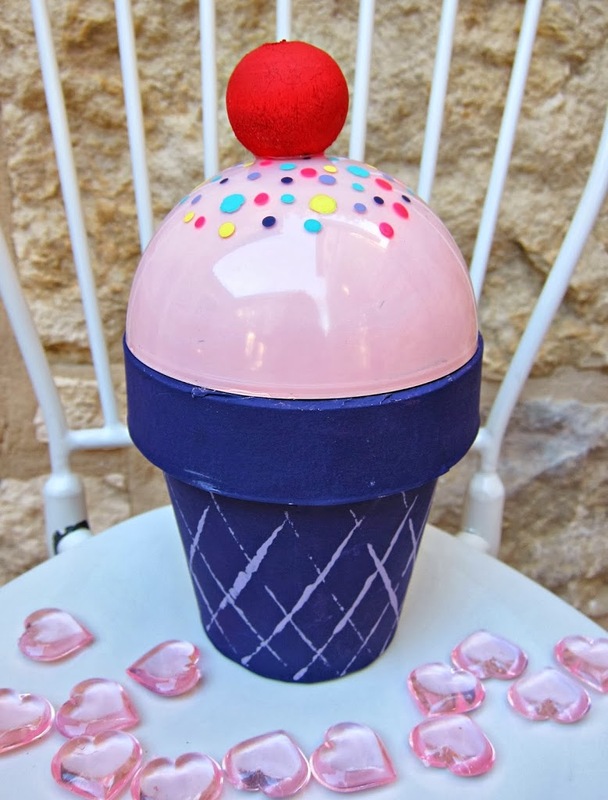 This Valentine gift holder looks like an ice cream cone! As I’ve mentioned in other posts, I try to encourage my kids to make their own Valentine’s Day cards. That includes making a special Valentine for the teacher. 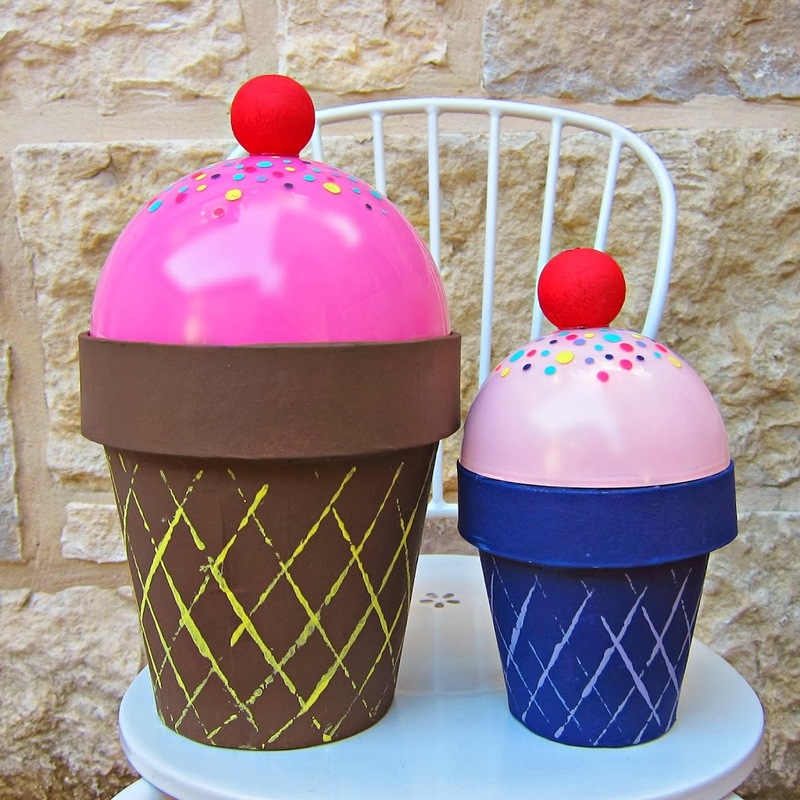 This year we’ll be making fun faux ice cream cones that are treat holders! I used vivid colors from Apple Barrel Craft Paint to make this Valentine gift holder. I love the vibrant color selection that Plaid sent me to work with, so I used as many colors as possible. If you want to replicate my project, the colors I used are: Cameo Pink, Fuchsia, Melted Chocolate, Bright Red, Purple Pansy, Lilac Dust, Aquamarine, Canary Yellow, and Neon Pink. Step one: Paint the inside of the plastic ornament. Set aside to dry. 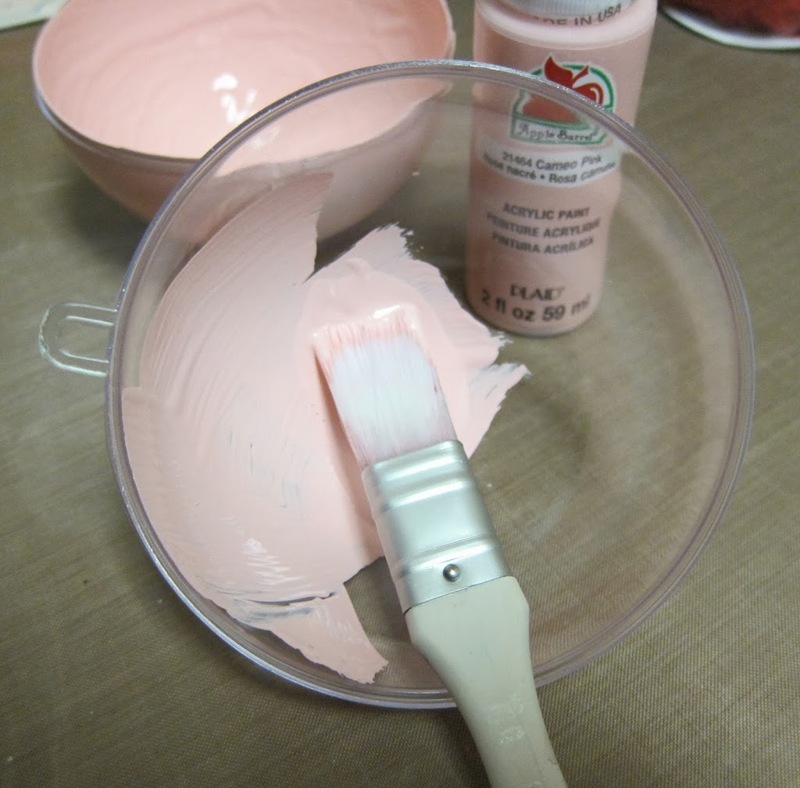 Step two: Paint the pot. 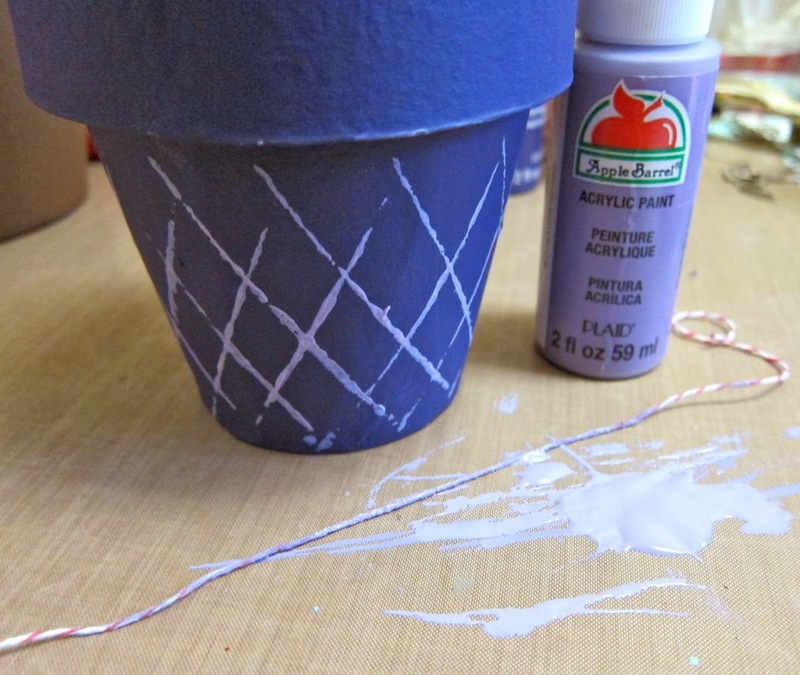 To make the lines on the “cone”, I dipped a piece of twine in paint and pressed it onto the pot. Step three: Paint the doll head red. 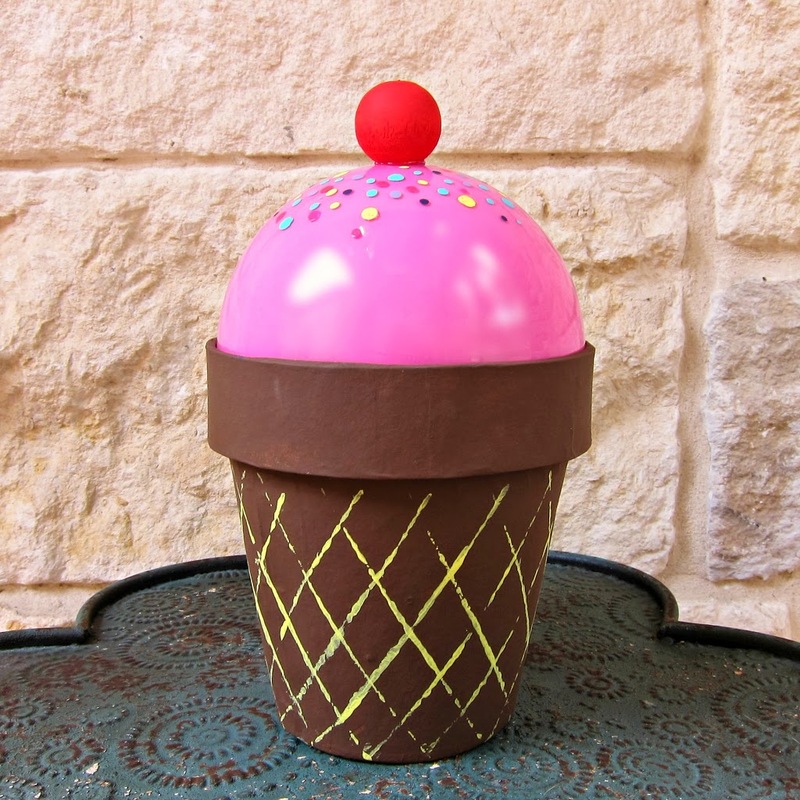 Step four: Add “sprinkles” to the ornament by dipping the end of a paintbrush in paint and dotting it onto the “ice cream”. Step five: Glue the red “cherry” onto the top of the ornament where the “sprinkles” are. 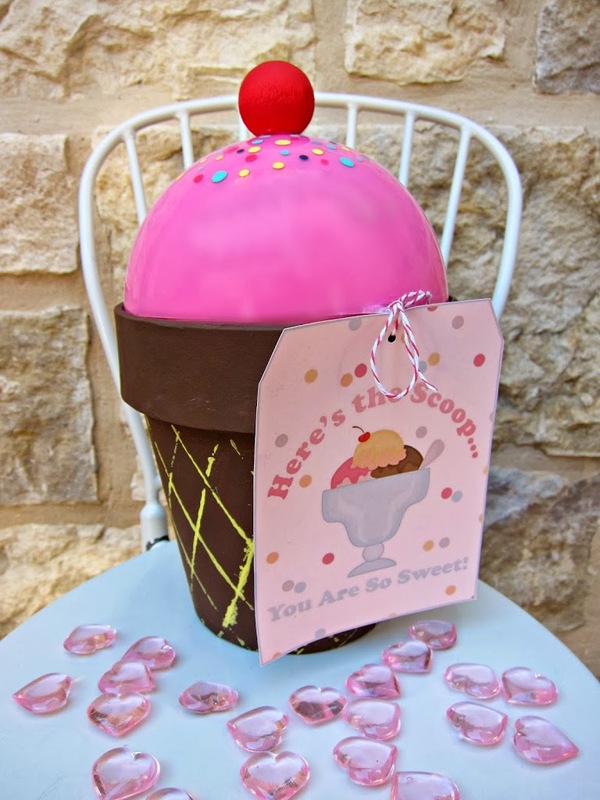 To assemble this Valentine, fill the ornament with pre-wrapped candy, and set it in the “cone”. You could glue the bottom half of the ornament inside the pot for added stability; I just pressed mine in firmly and it stayed put. I was going to make my own tags, but I found the perfect free printable here. I printed them out, trimmed them, and tied them on to what would have been the top of the ornament (but now it’s on the side). What teacher or classmate wouldn’t want to receive a special Valentine gift holder like this? To learn more about Apple Barrel Craft Paint and other Plaid products, stay updated via Plaid’s blog, sign up for Plaid’s weekly newsletter for tutorials and special deals, and follow Plaid’s Pinterest Board. Disclosure: This is a sponsored post, but all ideas and opinions are honestly my own! This is really cute Morena! I see you are still submitting to Craftgawker 🙂 Hope to see you back at Fun Family Crafts soon.